Learn how to shape an inclusive culture for employees you currently have, hope to have and hope to keep. Facilitate work teams that harvest diverse perspectives and engage in productive intercultural conflict creating a climate for learning, innovation and organizational resilience. Intergroup cognitive empathy is a skill that increases: 1)productive space for intercultural conflict; 2)intellectual diversity for all; 3)organizational identity; and 4)inclusive culture. Highly interactive hands-on exercises include intercultural active listening, social identity cognitive framing and intergroup dialogue facilitation skills with case studies on diversity issues in tech and marketing sectors. Dr. Kathleen Wong (Lau)'s areas of expertise are intergroup dialogue, intergroup empathy, intercultural communication, gender and communication, intercultural conflict management, women of color in academia, and women's leadership in STEM disciplines. Her work is particularly focus on social and economic class within higher education. During her career she has been a faculty member in communication studies and affiliate faculty member in women's studies. She has also served as a consultant to the dean of the College of Veterinary Medicine at Michigan State University and served as a curriculum writer, facilitator/trainer, and board member for Campus Women Lead, a national women's leadership group affiliated with Association of American Colleges and Universities (AAC&U). Dr. Wong(Lau) has published her research and opinion pieces on structural inequality within higher education and best practices for addressing multicultural leadership for social change from within institutions. Dr. Wong(Lau) has extensive experience in consulting and training on diversity and inclusion in the private sector and in university settings. She has provided diversity and intercultural training for Stryker Corporation, Phoenix area branches of law enforcement, Department of Natural Resources, Social Security, Intel, and Motorola. 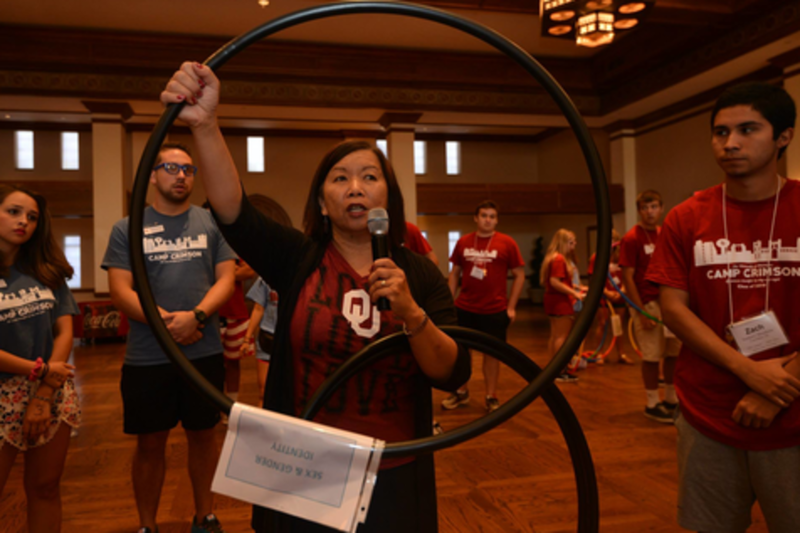 Dr. Wong(Lau) has also provided intercultural communication and multicultural alliance training in the higher education setting with a focus on training STEM faculty women and men in leadership at Purdue University, North Carolina universities, Arizona State University, and other institutions.